…even though Virginia seems to be embracing the recent snow we just had. I totally forgot about these mittens that she finished sometime during one of my lengthy stays in the hospital this Spring. But, I noticed she had them on as she got ready to leave the house tonight, so I snapped a few photos before she could get out the door. 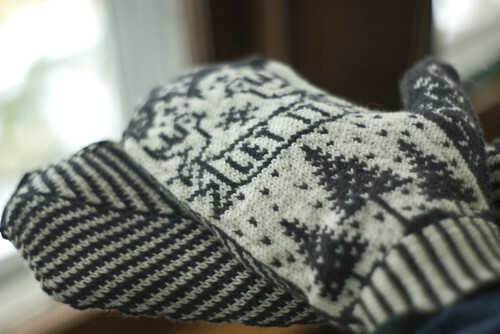 They are Elli Stubenrauch’s “Snowbird Mittens” from Vogue Knitting, and knit with Rowan 4-ply Soft. Personally, I’m not ready to let “it” do anything remotely related to the impending cold months. 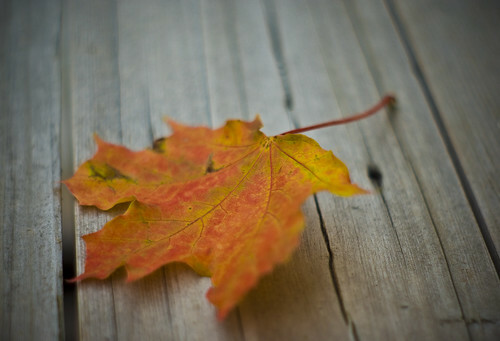 I’ve barely had any time to get used to and enjoy Summer, let alone Autumn. I sure hope there are a few good weeks of walking, raking, apple-pie-baking weather ahead before the snow decides to set in for good. In fact, I took the following picture to remind myself that the 3 inches of snow we just received was a fluke. 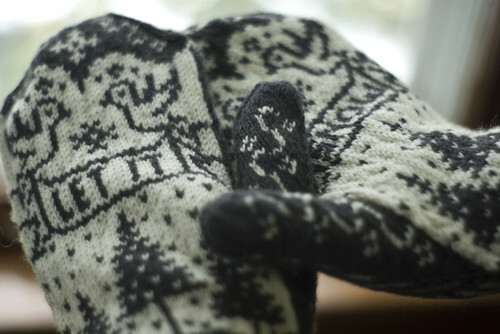 Beautiful mittens! And snow already? Geez! Three inches?? Yikes! We didn’t have a lot of snow, but icy conditions on Saturday! 300 accidents in 30 hours! Absolutely stunning mittens. Wish we had the need for them here in South Africa, but I don’t think I will ever get to knitting myself a pair! 3 inches of snow! How exciting – I love the snow and we’re lucky to get that in a year here in London so I’m feeling rather jealous! 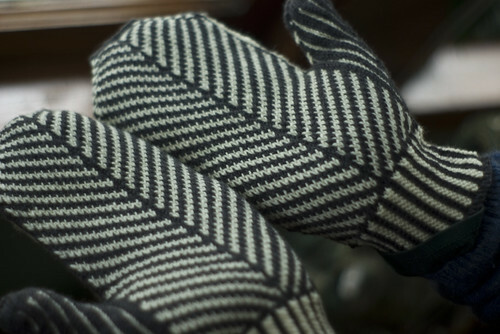 Great, great mittens… you’ve reminded me how much I want to make a pair myself.